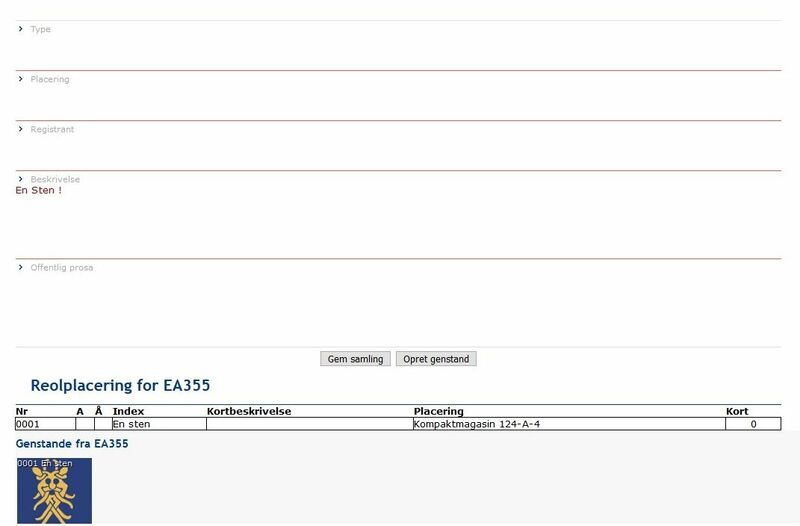 Looking through our database, I came across collection EA355. Where other collections have names such as ‘EA365 Greenlandic dog sled’, ‘EA484 Bushman artefacts’, or ‘EA544 Thai Amulets’, this one went under the simple and mysterious name ‘EA355 Rock’. Clicking on the collection, the description page only adds to the mystery: no recorded collector, no country of origin, no year of collection. Indeed, the only content is a two-word description: ‘A rock!’ (Yes, the exclamation mark is part of the description). My curiosity thoroughly peaked, I ventured into our storage facility to see this mysterious rock that some curator at some point (guessing by the collection number, I’d say sometime in the 1980s) thought worthy of its own little space in our collection. You see, once something has a museum number, we are basically charged with taking care of it forever. Finally, at the very end of a long hallway, sitting there on a shelf, surrounded by pottery, was THE ROCK. And indeed, that was all it was, a roundish dark green rock, a little larger than a fist. I do not see how we will ever unravel the mystery of why someone thought this rock worthy of its own collection. That is unfortunately the fate of improperly registered artefacts. Perhaps it was once owned by someone special? Perhaps it was thrown through a window during a rebellion somewhere? Or perhaps it was just used as a paperweight by a long gone curator, who registered it as a joke. We will probably never know. But somehow I have fallen in love with this silly artefact, and its enthusiastic but brief description. So, there you have it: A rock!